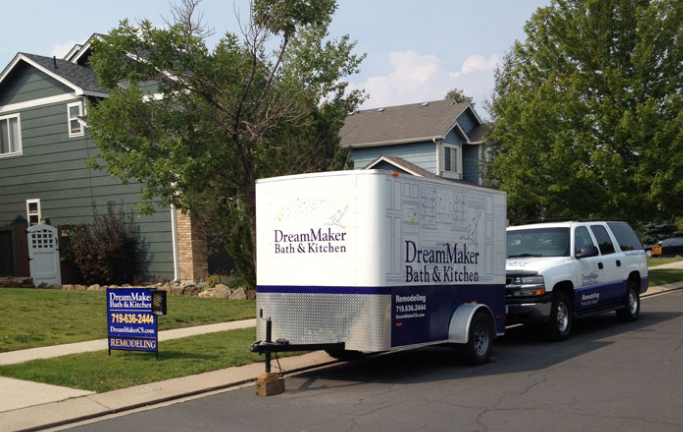 Deb and Mark Witte of DreamMaker Bath & Kitchen of Colorado Springs were recently interviewed by NARI, which was curious how being part of a franchise has helped their business. The National Association of the Remodeling Industry dedicates itself to promoting ethical standards and professionalism within the remodeling industry, so we were honored when Susan Swartz of NARI recently decided to interview Mark and Deb Witte of Colorado Springs about their decision to join the DreamMaker remodeling franchise. In the United States, there are 600,000 + franchised businesses. Franchising pulls in roughly half of all U.S. retail sales annually and enjoys an estimated 12 percent growth rate in the number of franchised units each year. More than nine of 10 franchise owners surveyed by the Gallup Organization said they considered their franchise to be somewhat or very successful. After owning a remodeling business for 14 years, Mark and Deb Witte were attracted to the idea of incorporating into a franchise. One of the main reasons was they felt a franchise could offer them an exit strategy, leaving them something tangible to sell. The other enticement was not having to reinvent the wheel to develop an operating system. DreamMaker franchisees use strong branding and marketing to win new customers. The two had met while Mark was attending Fort Hays State University in Hays, Kansas, on a football scholarship and Deb was working at AT&T Southwest. After graduation, Mark taught drafting and woodworking for four years and then was ready for change. At this point, the Wittes had married and had a small daughter. They decided to move to Colorado Springs, Colo., mostly because they liked the area, and both wanted to do something different. Mark, raised on a farm and familiar with carpentry, got his contractor’s license and opened a remodeling business. He started small—doing handyman jobs, gradually advancing to kitchens, baths, small additions and decks. Deb became an Interior Redesign Specialist. As their business matured and grew into a robust operation, they focused on incorporating systems to be more efficient to take the business to the next level. They were intrigued enough to learn more. DreamMaker Bath & Kitchen has 34 franchisees nationwide and more than 40 years of experience in taking businesses to the next level of success. The company’s brand positioning statement for its franchisees is simply stated: ‘Strong Margins and Quality Life” – a proposition the Wittes liked. The DreamMaker franchise saw same store sales for its remodeling franchisees increase by 24% in 2013 from the year before, a rate of growth that is nearly eight times the industry’s standard. Doug Dwyer, president and chief stewarding officer at DreamMaker, talks to a lot of remodelers and estimates that the majority are in the 15 to 25 percent gross profit margins range, while the average DreamMaker franchiser is at 43.5 percent. 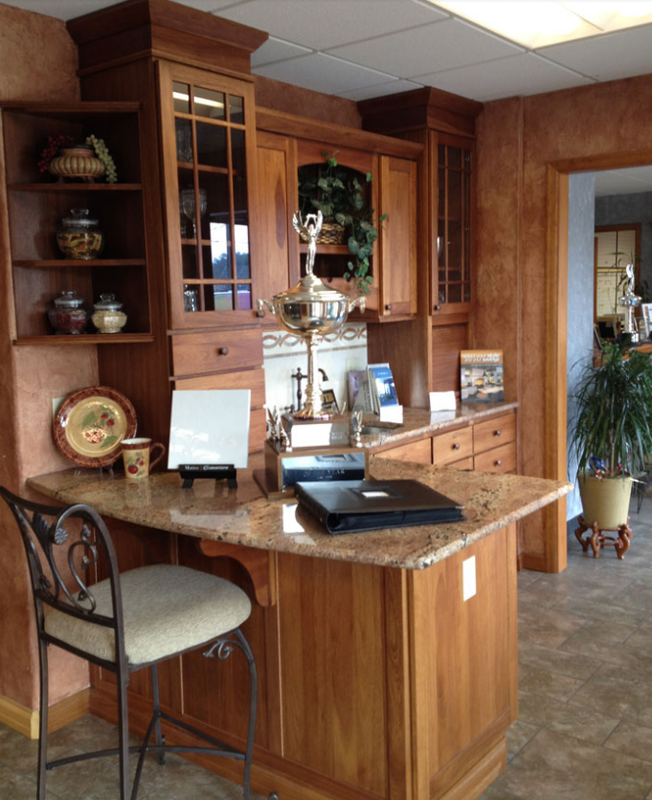 The Witte's Design Center offers homeowners a place to learn about different design options. 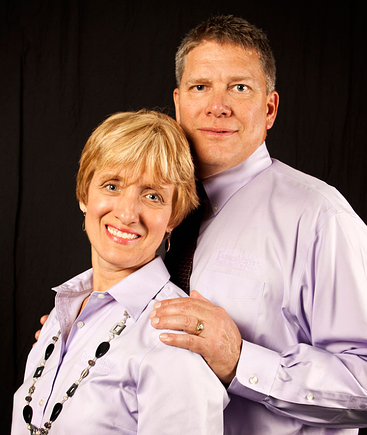 Mark and Deb Witte made the decision in 2005 to roll DreamMaker into their remodeling business. The Wittes and their staff felt it was a pretty smooth transition. “There were a lot of similarities, and that was attractive to us,” Mark says. “We began doing marketing under the DreamMaker name and talked to our past clients. We had a big grand opening in our showroom and got the word out to the newspapers. The Wittes have been involved with NARI for almost 20 years. They highly recommend that new remodelers get involved with NARI and because they learn so much from networking and the education programs. DreamMaker also supports its franchises with brand recognition and cooperative funding for local marketing efforts. It recently did an overall launch of websites with photo galleries to help new and smaller companies. The Wittes credit the franchise for helping them survive the recession. “We use preferred vendors, where the company negotiates a fine situation with group buying power,” Mark says. DreamMaker Bath & Kitchen helps franchise partners stand out by offering savvy, proven marketing plans and tools, excellent systems for operating your business, and a wealth of support to help you grow. To learn more about the remodeling industry, and why we are excited about the growth potential for our franchisees, visit our research pages. To learn even more, fill out a form to download our free franchise report and start a conversation. We look forward to talking with you!